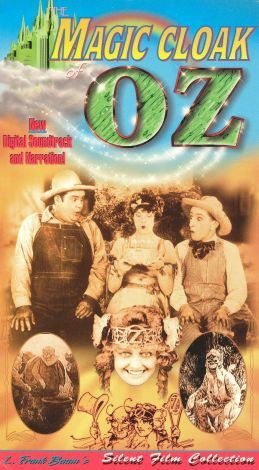 Author L. Frank Baum adapts his own original story for the silver screen in this fantasy adventure directed by J. Darrell MacDonald. A young girl named Fluff is bestowed a magical robe that was woven by fairies, and has the power to grant its owner a single wish. Soon thereafter, Fluff and her brother Bud are selected as the new King and Princess of Noland. As they contend with a queen from a neighboring land, a portly army of Rolly Rogues descends on Noland in search of soup. Meanwhile, King Bud and Princess Fluff's runaway donkey rounds up all of his animal friends to seek revenge against the woodland bandits who tried to abduct him.